I’m not one of those dog owners who dresses up my dog in clothes just to make him cute, but I do think it’s important he is warm enough outside in cold weather. Milo owns 3 pieces of cold weather clothing. He has a raincoat (that doubles as a lightweight coat), a heavy winter coat and I just bought him a sweater. 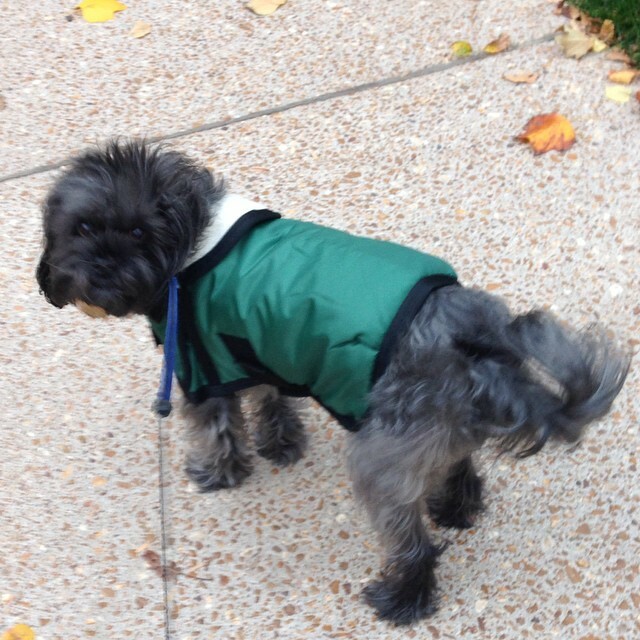 Milo’s first coat was this lightweight blue raincoat. I took this picture just one week after I adopted Milo. I adopted him on December 28 and the stores were already cleared out of coats, so I didn’t have a lot to choose from to keep him warm. And he did need to stay warm. He was covered with matted fur when he was rescued and his foster mom did a home grooming job to clean him up. 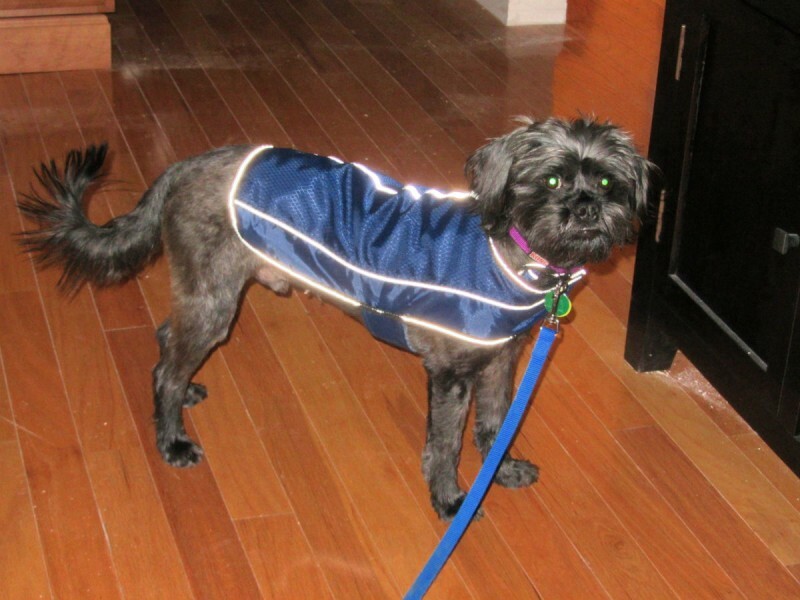 He looked pretty ragged so I took him to a groomer and had them cut all of his fur short…so he definitely needed a coat! I wasn’t looking for a raincoat but I picked out this coat because it fit him well and has a flannel lining to keep him warm. I’m really glad that I ended up with a raincoat, because it really does keep his body dry in wet weather. 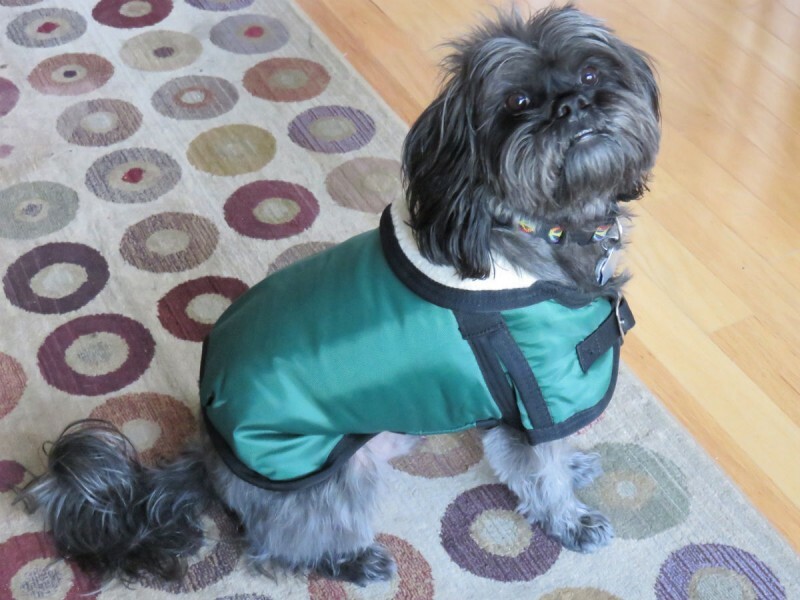 Milo wore this coat as his only coat for his first 2 winters with me because I just had no luck finding a warmer coat that I liked that fit him. Last winter I bought him boots since we live in a condo without a yard and the sidewalks around us get covered in salt when it snows. The salt burns his feet and I end up carrying him. I know, you probably think I’m a softie to carry him but I just can’t help it when he starts limping and trying to get all of his feet off of the ground and then looks up at me with these ‘help me’ eyes. It was hilarious watching him learn to walk in boots…I shared a video of him last winter that you should check out. Definitely watch it if you are thinking of buying your dog boots…because apparently Milo’s reaction to walking in boots is pretty common. After 2 winters of no success at finding a winter coat that I liked AND fit him well, I had just about given up. The challenge is that Milo is 22 lbs with really long leg for a dog his size. 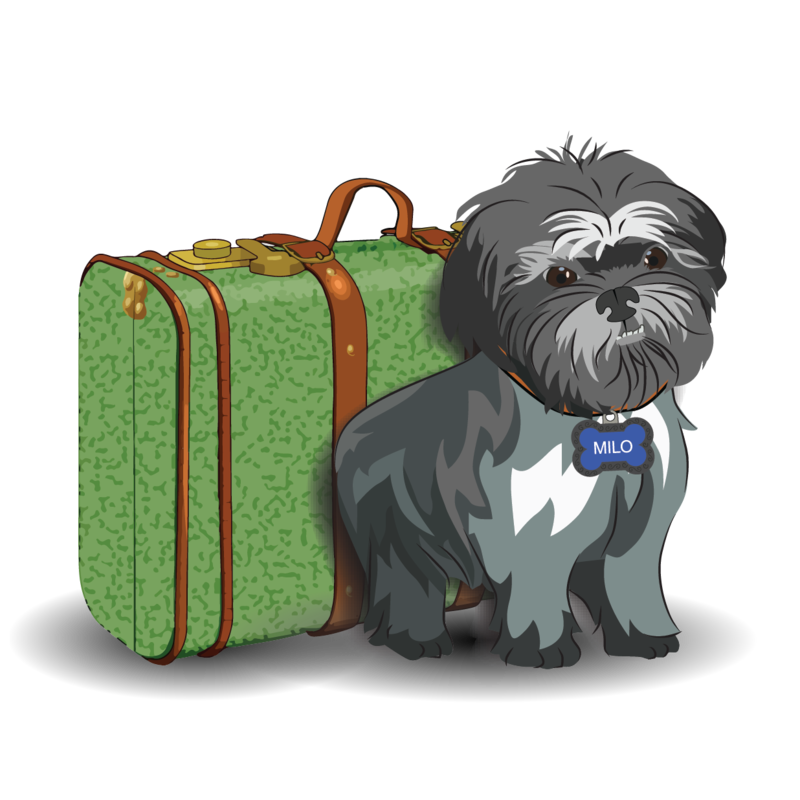 If you are looking at sizing charts, he is on the big end of small, which normally goes to 25 lbs. But, most smalls don’t fit him well, and most mediums are huge on him. The other problem is that so many pieces of clothing aren’t built for BOYS. A girl dog can wear something that covers up her tummy but a boy dog will pee all over it. You also have to be careful that the clothing doesn’t pinch your male dog in sensitive spots if it goes too low on the stomach. I knew that Milo’s raincoat fit well, so I kept looking for a heavy coat with a similar design. Last spring, I was working an adoption event for Gateway Pet Guardians at Pets in the City and wandered over to the clearance rack. I found the perfect coat for Milo. The store had a no return policy for the clearance items, so I brought Milo back the following week to make sure this coat would fit, and it did. And, it looks SO cute on him too. It did take Milo a bit to learn to run down the steps from my condo (I’m on the 2nd floor), because there is a flap that protects his upper legs and he has never worn anything like that before. But it didn’t take long and he was running like normal. 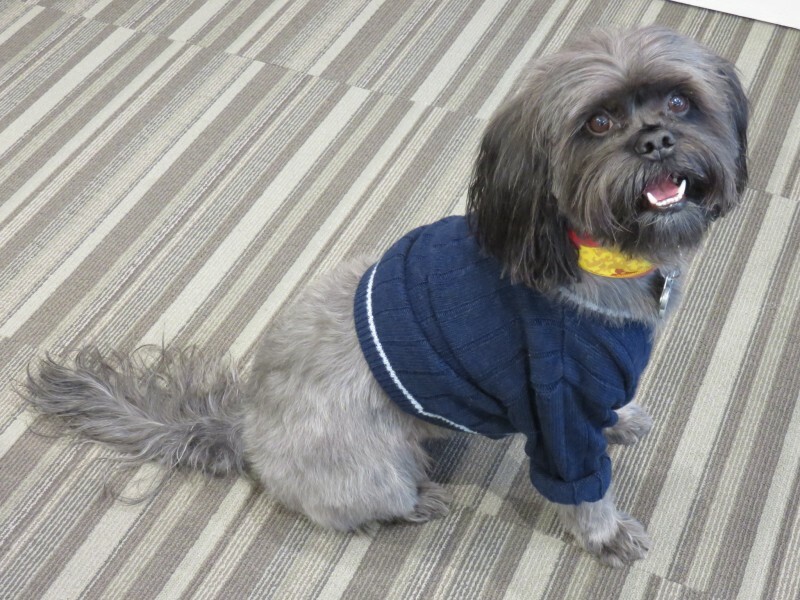 This fall I decided I wanted to get Milo a sweater for those chilly days instead of always using the raincoat. 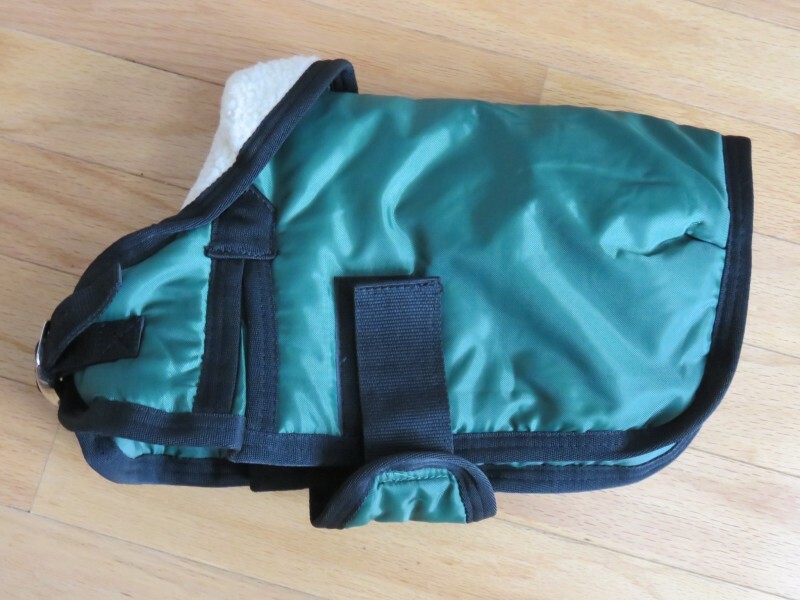 Last winter I had a couple of foster dogs that needed a coat, but I didn’t want to spend over $20 to buy a coat for a dog that I would have for just a few weeks (they were so adorable I knew they would be adopted quick!). So, I went to the local Goodwill store and bought some baby clothes for $1 each. 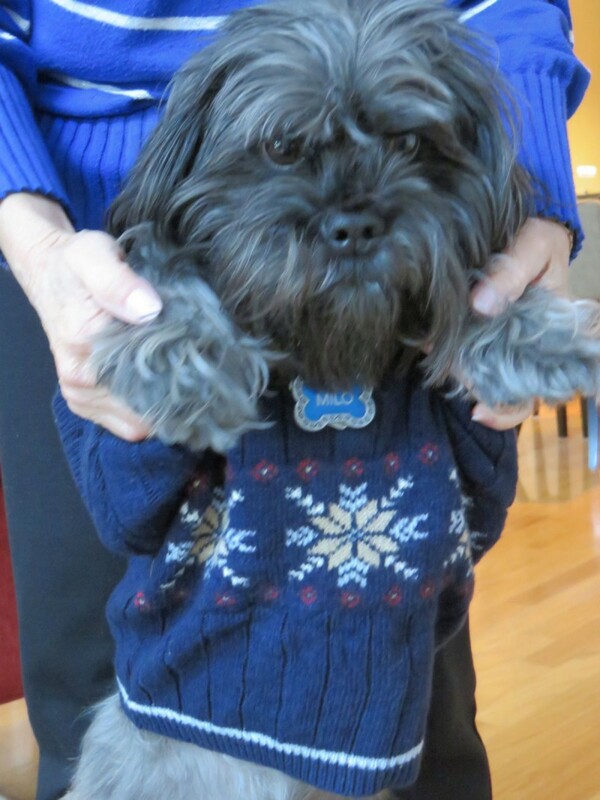 It worked great so I thought I would hit the thrift stores for a sweater for Milo. 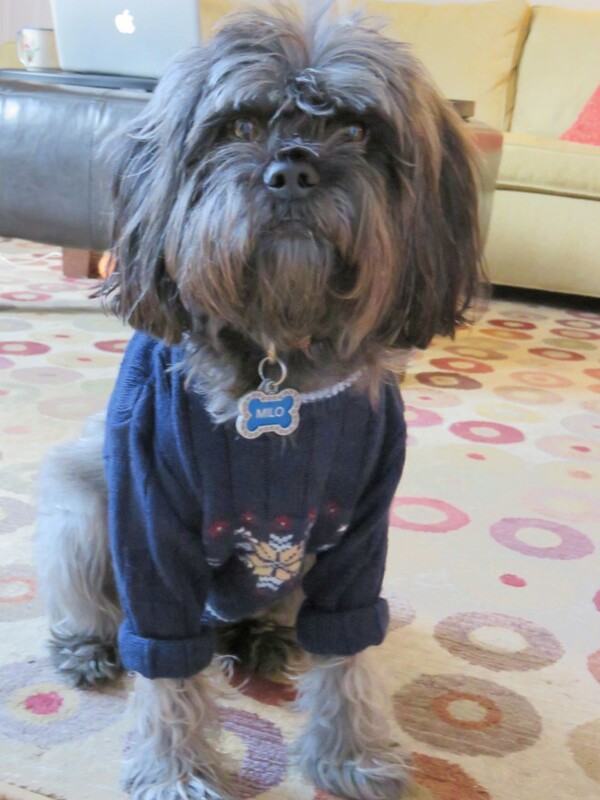 Milo’s new sweater was $2 at Goodwill and is a size 18 months. 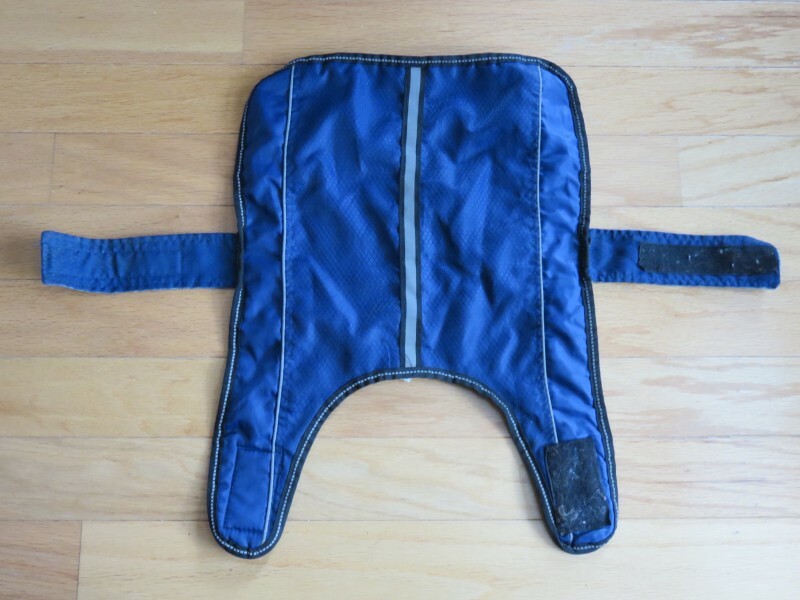 If you decide to buy baby or kid’s clothes for your dog, simply focus on the neck hole and get one that should go over your dogs head. 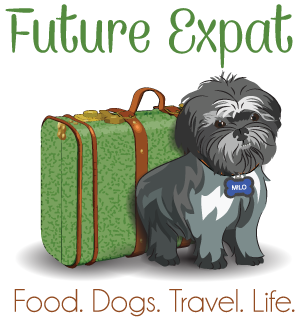 If you need to, bring you dog’s collar with you so you can compare the size. 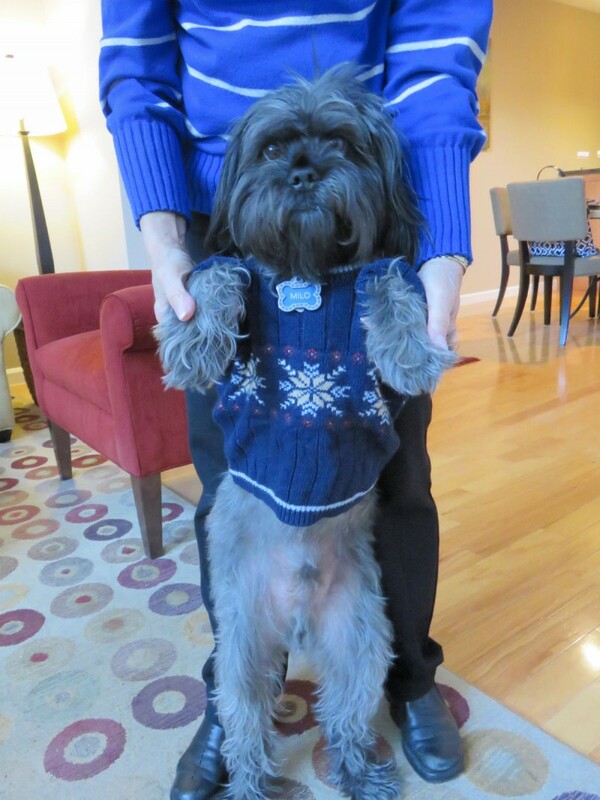 You put the sweater on just like you would if your dog was a baby. Pull it over his head, then pull one leg through the sleeve and then the other. I like the looks of the sweater with the sleeves rolled up a bit, but I could leave them unrolled too. While the sweater only covers him halfway, that works since he is a boy and if it was longer underneath he would get it wet when he pees. With a girl, you could go with something longer and it would be fine. I always take Milo’s sweater off as soon as we come inside so he doesn’t get too hot. He quickly learned that when I pick up the sweater he gets to go outside, so he now actually pushes his head into the opening to help me get him dressed. 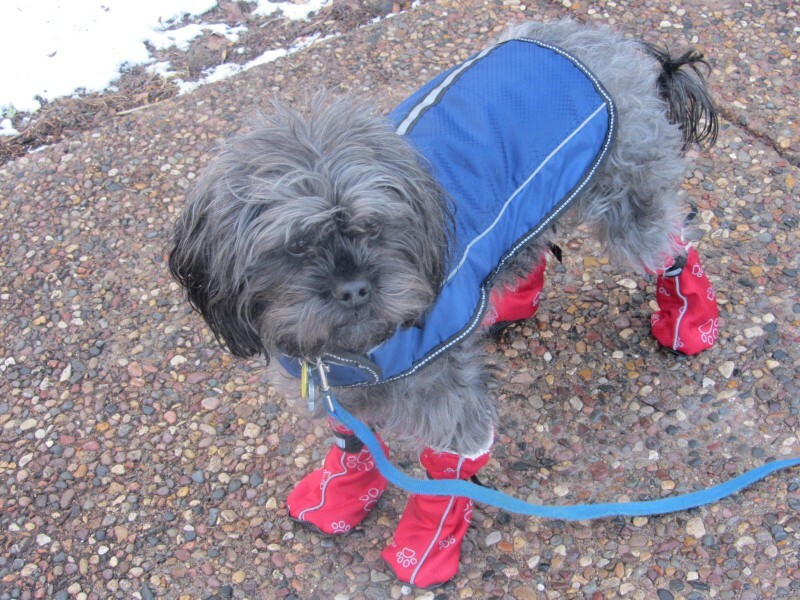 Do you have a coat or sweater to keep your dog warm? Share your tips in the comments below for buying clothing that fits your dog or saves you money. Ok seriously, that is SUPER adorable!!!!!! Wow that is so cute! I love the idea of using thrift story baby sweaters. Saving money and recycling the clothes too, and I was surprised how well the sweater fits. I’m not a pet owner. 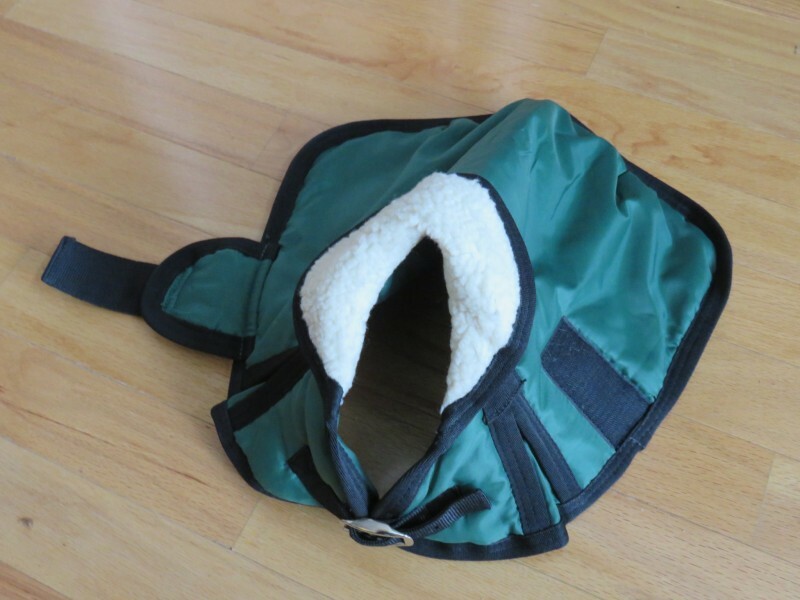 I never really thought of the practical side of having pet clothing. I can see why you would need it. Also his boots are just too cute!!! 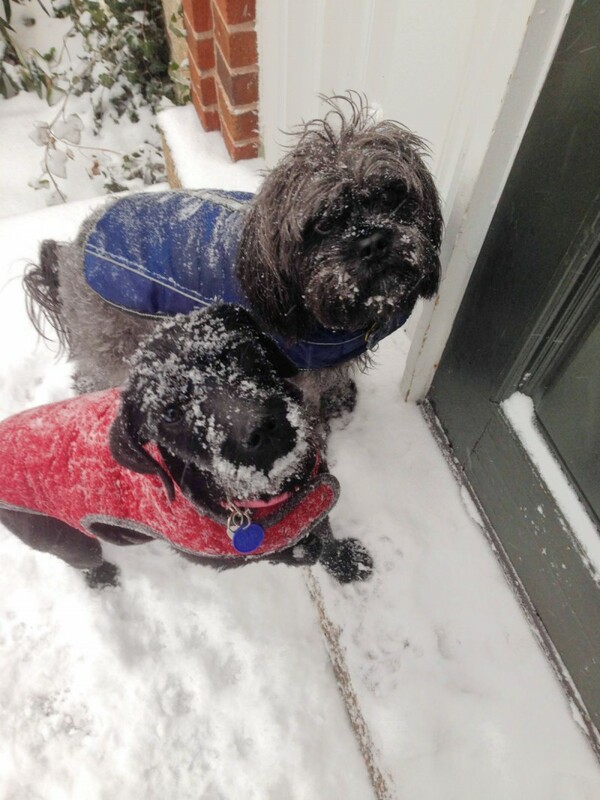 i’m not a pet owner (allergies) – but I love the coats and sweaters on all the dogs – and the pics here – SO cute! Super cute dogs! I love them. They seem to look amazing on anything they wear. Hi, LOVE Milo’s new coat! Great idea about his sweater too – looks great. 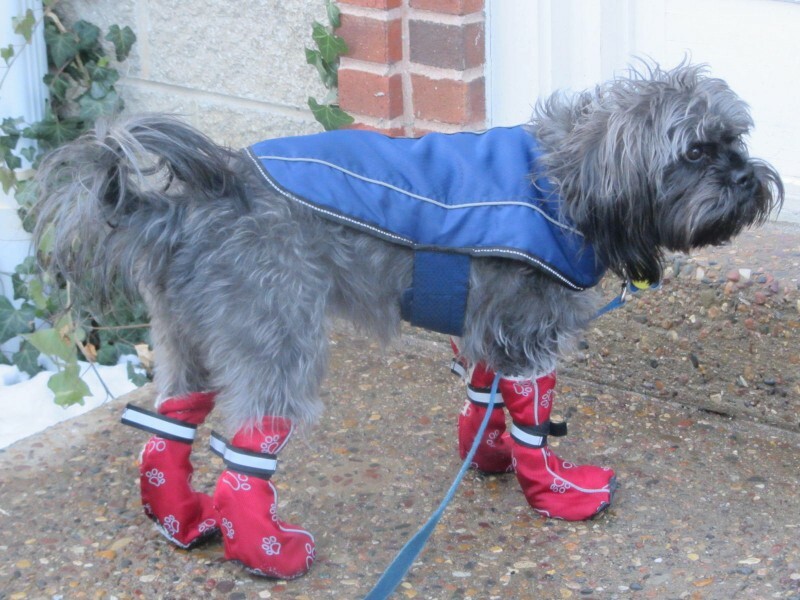 Boots are a necessity in bad weather. Those are so adorable! I love the boots. Thanks for linking up to the Bloggers Brags Pinterest Party! I’ve pinned your post to the Bloggers Brags Pinterest Board. I love Milo’s coats & the sweaters! I can’t believe how well the kids sweaters fit. He looks adorable in everything! I hadn’t thought about considering a dog’s boy parts when finding a coat! 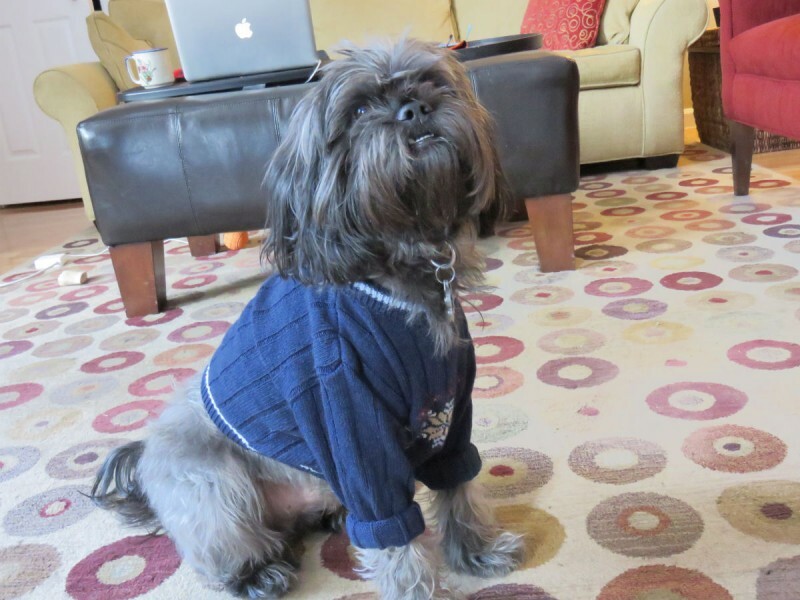 I basically have a wardrobe for each of my 2 dogs – yeah, I’m one of those! I can’t help it. 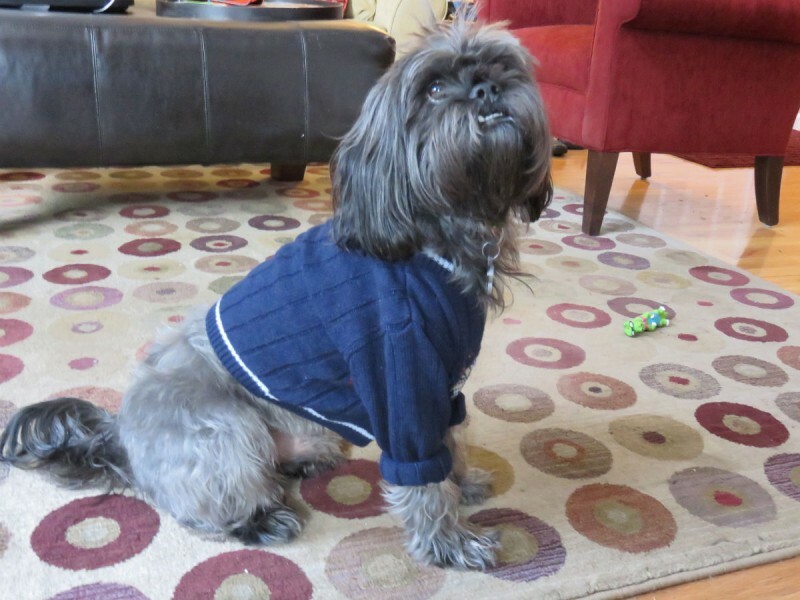 It’s too hot here for coats but my little dog wears a sweater on chilly evenings. My Husky never needs any clothes! I have a rain jacket that’s big and puffy, and keep me warm, too! It has a hood, but I don’t really like wearing the hood part… as for sweater, Mama and Papa got me a new winter sweater that is wonderful, but it slips off slowly when I sit. 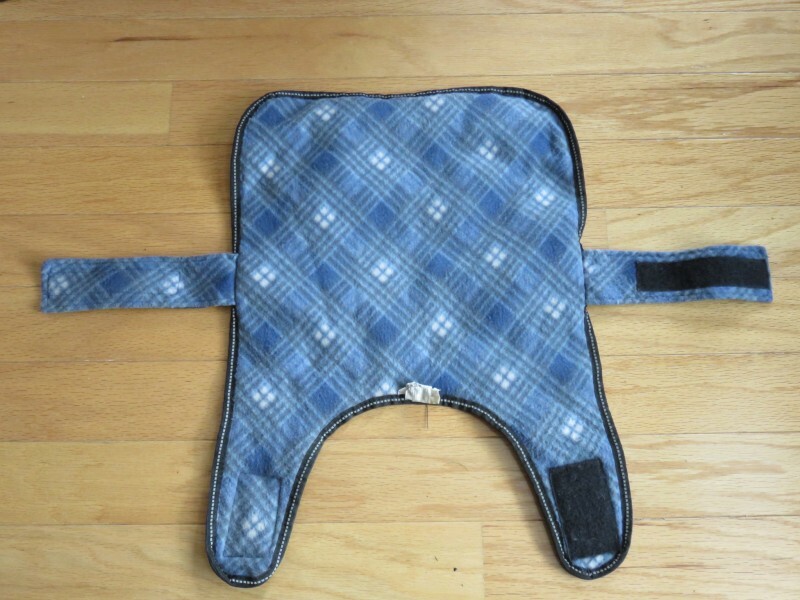 It stays on when I wear my harness over it, so it works when we go out, but it’s woven so it is not as good in the rain or snow… I learned the hard way when we got soaked on a walk last week. I love your green winter coat! It looks very warm and cozy. 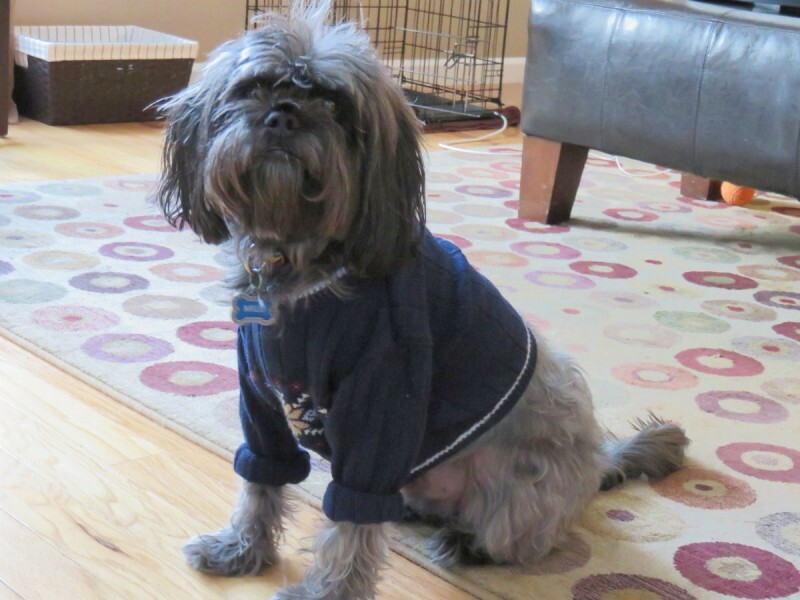 Ginger doesn’t have any clothes, but the foster dog I had last winter was much happier wearing his sweater when it was cold outside. He is so cute. What kind of boots are those and where do I get them? I got them at a PetSmart or PetCo. All of the big stores carry them.